FloorCare Specialists has expert crews trained to clean and restore all types of concrete floors in the Metro Atlant Area. If you need your concrete floors cleaned to remove years of stains and debris; or sealed to protect the finish; or perhaps diamond polished for that high gloss shine; then FloorCare Specialists is your commercial concrete floor care contractor. We have the tools, skills and equipment to tackle any concrete floor job. From industrial warehouses; to food and medical grade processing facilities; to retail and commercial office floors. We are your professional choice. We can clean up a dusty warehouse floor. We can remove old adhesives and coatings from concrete to prepare your floor for other uses. We can seal your concrete floors. We have the tools and equipment to deliver a high gloss, diamond polished concrete floor. 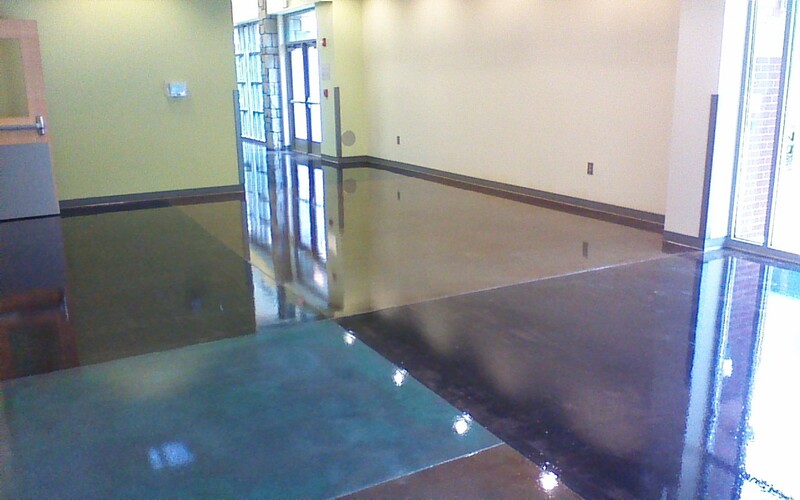 Once your floors have been refinished we can deliver scheduled concrete maintenance services.